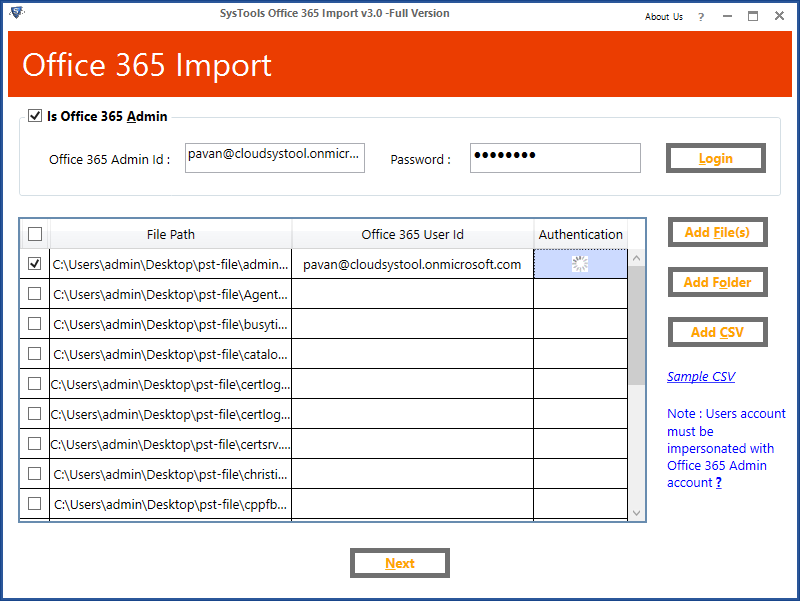 Do you feel the need to import PST to Office 365 without duplicates? The duplicates are of course the cause of consuming unnecessary space. These even hurt more when we want to migrate our data from Outlook to Office 365 and the process is taking too long due to these duplicated items. Eventually, the duplicates might lead to serious issues if not removed timely. 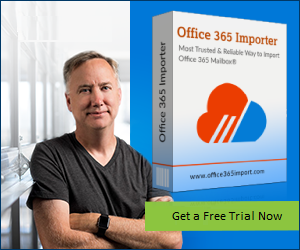 So, let us discuss how to import PST file from MS Outlook to Office 365 with the help of manual as well as Office 365 PST MigrationTool, avoiding the duplicates items. How to Import PST to Office 365 Without Duplicates? As a matter of course, we have two kinds of PST files. One is orphan PST and other is already configured PST in Outlook. So we will learn how to import both kinds of PST files into Office 365 in the further section. So first we will remove the duplicates from orphan PST file using Import/ Export function of Outlook. To do so, first, we will import duplicated data from PST file into Outlook and then Export it. Note: Orphan PST is a PST file that resides in some location other than MS Outlook in your system. It needs to be imported to Outlook. If you have to import a PST file to Office 365 which is not imported into Outlook but is located to some other location in your system, then first import it to MS Outlook avoiding the duplicates. And if you want to migrate an already configured PST inside Outlook to Office 365 then skip the first step and jump to step 2 to Export PST. Now choose Import from another program or file option inside the Import/Export wizard. Important Tip: The option “Do not import duplicates” is used to prevent all the duplicates in the PST file that we are importing into Outlook. The duplicates free PST file has been imported into Outlook and now you have to Export it so that you will further migrate it to Office 365. Choose Open & Export option >> tap on Import/Export option. Now you have a duplicates free PST file and you have to import it to Office 365. Let us see which methods can be used for the same. There are 3 genuine methods to import PST to Office 365. Manual as well automated ways can be used to upload an Outlook PST file to O365. The most secure and fast solution for migration of PST is SysTools Office 365 import tool. Here are all the steps to use in Office 365 import tool to upload PST into Office 365 with Admin Account. 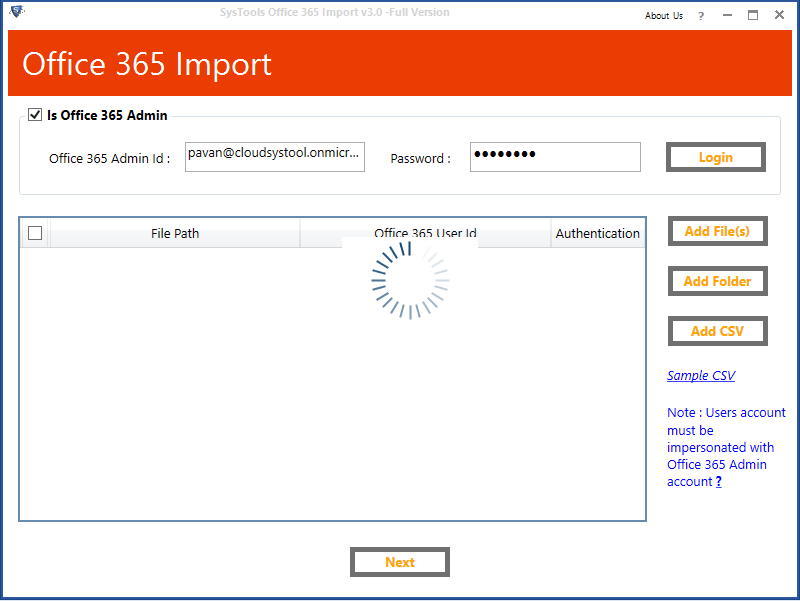 Step 1: Download & Run Office 365 Import PST tool. Step 2: Now mark check “Is Office 365 Admin” option >> press Login button >> click Add Files / Folder button. 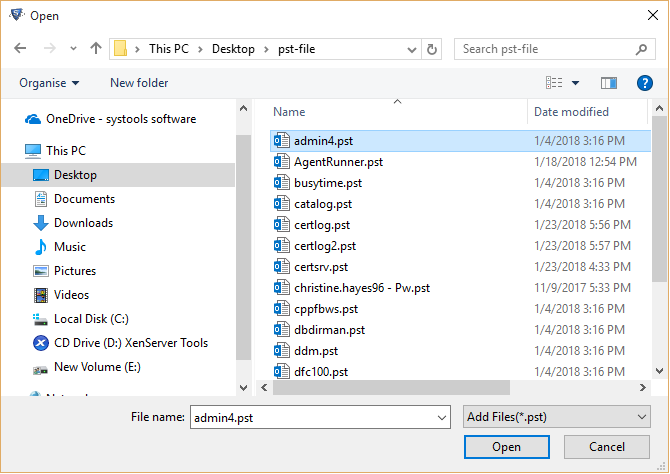 Step 4: You will get a list of all the PST files, enter the Office 365 email addresses mapped with files. Step 5: Now enter the credentials for domain ID & authenticate. Step 6: You also get the filters like Date Filters, calendars. Select accordingly. Step 7: Now check the “Include Folders” check box and enter the folders that you want to mention for PST to Office 365 migration. Step 10: The migration process will start, and after completing, click Save Report. Network upload is a manual way to upload PST to Office 365 without duplicates. On a cloud, the user has to add PST file through the network. Although it is an effective method but slightly complicated and lengthy to run. The user will need Azure AzCopy software for this purpose and then proceed further. This approach is also a great solution to migrate PST to Office 365. Here, the PST is copied on a hard drive encrypted with BitLocker and then shipped to Data Center of Microsoft. Now, again this manual way is complex to implement, however, according to convenience, users can use this method. Manual methods are available to users but these have some serious pitfalls. To perform all the steps accurately, the user must have good technical skills otherwise any small mistake in the attempts might lead to data loss. These methods are very lengthy and time-consuming. Users need to keep a lot of patience while performing manual techniques. Specially, when one is in a hurry to migrate Outlook data file to Office 365, it is not a good idea to opt for manual techniques. For huge data, manual methods might be a bad decision to opt for. Both data loss and time consumption can be encountered for huge data file migration. 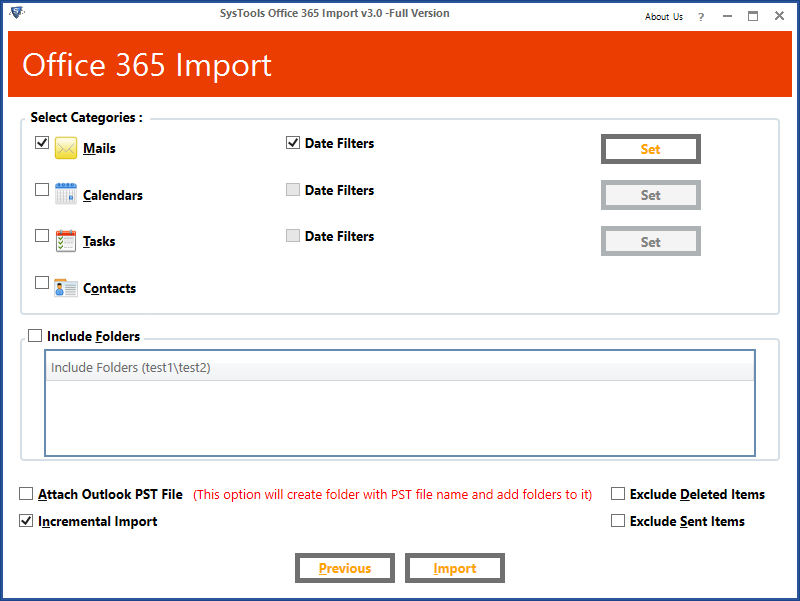 As discussed in the above methods, analyzing all the ways to import PST to Office 365 without duplicates, the manual methods seem to be quite complicated and for a naive user, it can be pretty difficult to adopt these manual techniques, while Office 365 Import Tool seems to be a sophisticated and safer solution to get our PST files uploaded to Office 365 instantly.